Confound tenacious squirrels before they raid your bird feeders with the Achla Post Mounted Squirrel Baffle. Position this baffle around or over a standard 4" x 4" post, creating a protective barrier against squirrels. The baffle's large 18" diameter prevents squirrels from climbing up the post and raiding your bird seed. Doubling as a predator guard, this steel baffle is also effective against animals such as snakes that may enter your birdhouses. Simply attach the metal support brackets to a 4" x 4" post approximately 4' to 5' above the ground and then slide the baffle over or wrap it around the post to rest on the included supports. 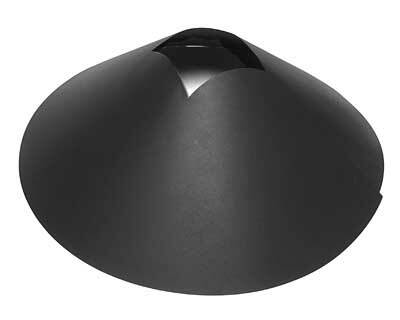 For long-lasting durability and beauty, this baffle is crafted from metal with a black powder coated finish.